CE Distribution is a wholesale company and sells to businesses only. If you already have a customer code and personal password, please click here to log in. If you are not currently a registered customer and you are a dealer, repair shop or manufacturer, please click here to register. Please note that your registration will be reviewed and validated by our staff before approval. You will be notified when you have been granted permission to access our site. CE Distribution and its authorized retailers are the exclusive distributors of Apex® Matched Tubes. CE Distribution is committed to providing excellent customer service, product availability, fast delivery, fair pricing and honest ethical business practices. We are confident that these qualities will benefit you as our customer. CE Distribution has a vast warehouse full of NOS products and we are always adding new products. If you don't see what you need, contact us. We may be able to get it for you. 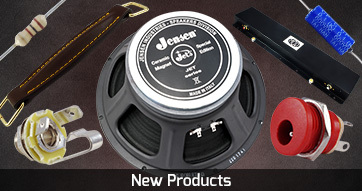 CE Distribution is the exclusive U.S. importer of Jensen Musical Instrument Speakers. 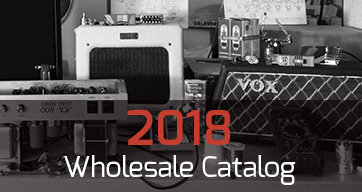 We are a premier distributor for JJ/Tesla, Winged C, Groove Tubes, Valve Art, and Tube Amp Doctor (TAD) vacuum tubes and we have access to the largest supply of New-Old-Stock vacuum tubes in the world. In addition, we offer a vast line of hard-to-find parts for all your needs. If you don't see what you need, contact us, we may be able to get it for you. If you are a dealer, repair shop or manufacturer, contact us about getting our free catalog loaded with many new items. To have access to all of our pricing please register with us.